Make everyone feel welcome in your office with the Bariatric Belmont Club Chair. A greatly-enhanced weight capacity and extra-wide seat ensure that every guest has an appropriately-sized seat. Let the graceful curved style and practical airy design of Belmont Reception Seating transform your lobby. 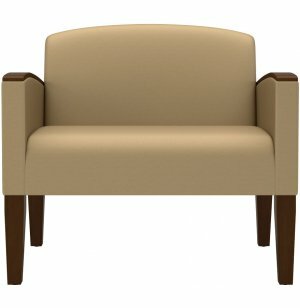 Attractive club chairs, sofas and waiting room chairs will show visitors just how classy your company really is. This harmonious synthesis of comfy cushioning and polished solid wood will make any wait worthwhile. Inviting waiting room furniture sets the tone for an entire business. Belmont reception seating features cozy polyurethane foam padding and a Matrex seat support system for lasting comfort. 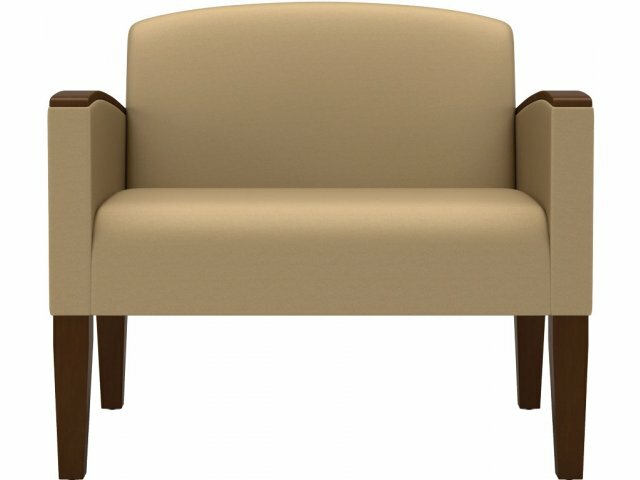 Heavy duty construction gives guest chairs and couches exceptionally high weight capacities so everyone can sit comfortably. Add all of these great features to a modular system with complete layout flexibility and you have a formula for success in any office. Bariatric Seat: This chair boasts an incredible 750 pound weight capacity and a 30" wide seat. Light Appeal: The exposed leg design gives rooms a more spacious feel by allowing light to filter underneath furniture. Cozy Cushioning: Environmentally-friendly polyurethane padding keeps guests comfortable. Enduring Support: A Matrex seat support system and heavy-duty construction help seats maintain their comfy feel for many years. Modular System: Choose from entire series of club chairs, sofas, loveseats, waiting room chairs and occasional tables for complete layout flexibility.